By combining magnetic technology with bioceramic far-infrared waves, the Green Power Kempo cretes the highest quality juice available. The neodymium magnets create a focused magnetic field in the juicing chamber, breaking up the water molecules and allowing them to recombine with other minerals like potassium and magnesium. The integrated bioceramic core uses the mechanical energy of the rotating gears to generate far-infrared waves, which stabilize and preserve the molecules withing the juice. Twin gear juicers will always give the best yield, and the Green Power Kempo is no exception. What differentiates this model is the compact size and the inclusion of augers with a magnetic and bioceramic core. 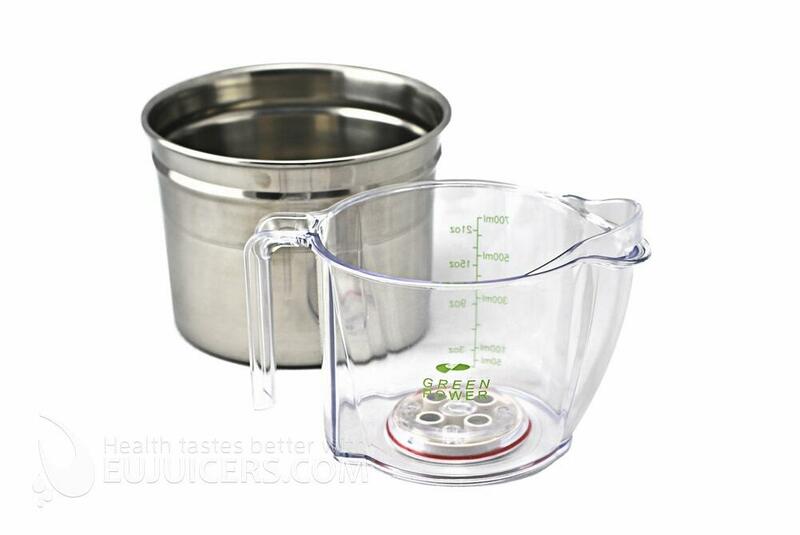 As with all twin gear juicers, the yield is better than in a single-auger juicer. However, keep in mind that twin gear juicers take more time and effort to use. Items like carrots should be cut into smaller strips, and some physical effort is needed to push ingredients into the augers - they don't "cut" the produce like a sinlge auger machine. The Green Power Kempo, with its set of nozzles and screens, is a jack-of-all-trades and is effective with many different produce items. In fact, it is probably the best wheatgrass juicer on the market. 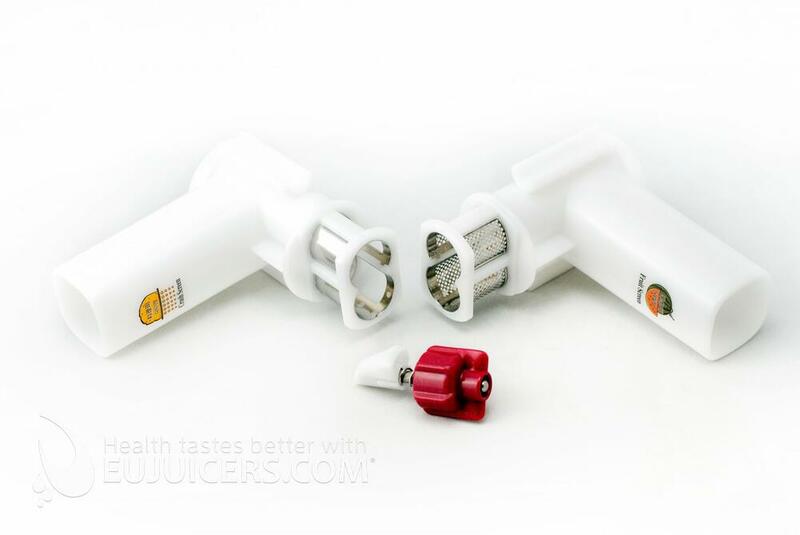 Regarding the magnetic and bioceramic technology, we at Eujuicers.com are not 100% convinced of the benefits as we never had the possibility to see any independent scientific studies that would prove it actually works. 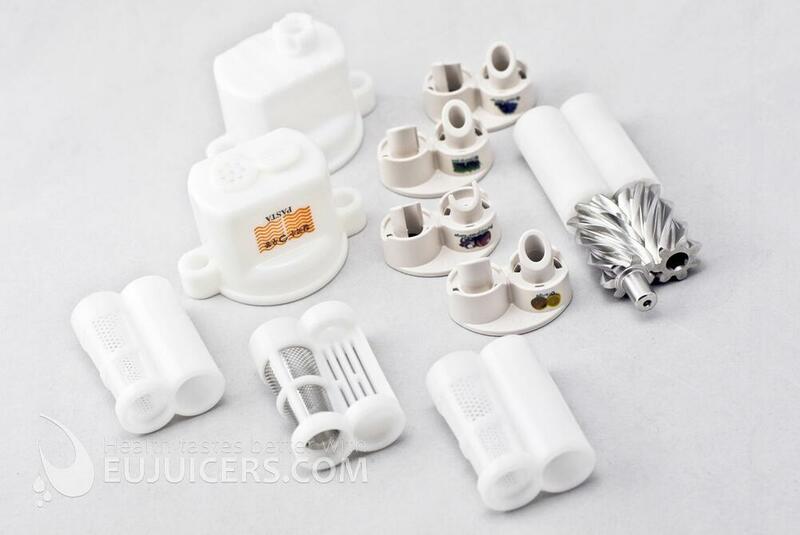 On the other hand we have never heard of any negative aspects of the magnetic technology so we believe magnetic technology will not affect the juice quality in a bad way. Kempo Exclusive Pro has additional accessories for juicing wheat grass, grapes, pomegranates, oranges, watermelon and tomatoes. 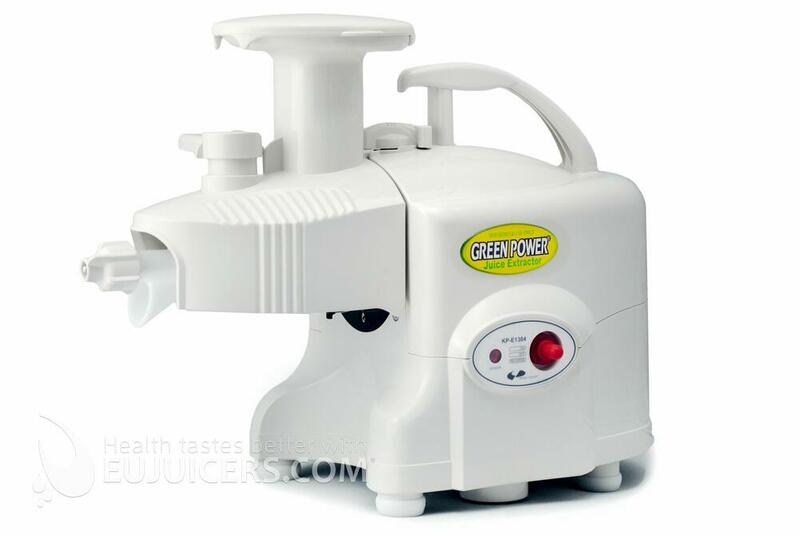 What is the difference between the Green Power Kempo juicer (white) and Green Power Kempo Exclusive Pro (white)? I can see a five-star rating instead of 4 stars for the first juicer... and the price. Optional set for Green Power Kempo juicer.